I tried it and it works!!! I clean, (don’t you just despise that word) my computer and TV screens at least every other day, if not daily. 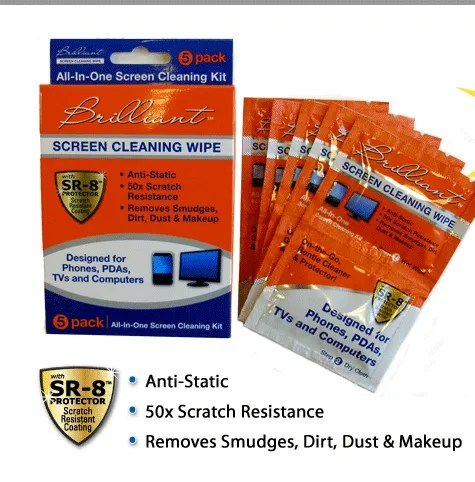 And I couldn’t believe what had been left behind after using the Brilliant Screen Cleaning Wipes!! they are kept by me, or given to family and/or friends. These sound really great! My screens are always smudged, so these would be great for me!